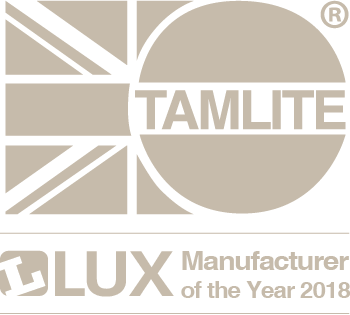 Tamlite is a trading name of Saldon Products Limited. 1.1 In these Conditions: “Buyer” means the person who accepts a quotation of the Seller for the sale of the Goods or whose order for the Goods is accepted by the Seller. “Conditions” means the standard Terms and Conditions of sale set out in this document. “Contract” means the contract for the purchase and sale of the Goods. “Goods” means the Goods (including any instalment of the Goods or any parts for them) which the Seller is to supply in accordance with these Conditions. “Seller” means Saldon Products Ltd., trading as Tamlite Lighting, registered in England under number 494829, whose registered office is at P.O. Box 4265, Fishing Line Road, Redditch, Worcs. B98 0SQ. 2.1 Any quotation or estimate given by the Seller is an indication given in good faith and shall not become binding upon the Seller unless subsequently confirmed by the Seller in writing. 2.2 All prices quoted are based on information available at the date of quotation and the Seller reserves the right to vary prices at any time without notice prior to the date of issue of the relevant invoice and the price payable by the Buyer shall be the price applicable at the date of the invoice. 2.3 The Contract made between the Seller and the Buyer shall incorporate and be subject to these Conditions and receipt of the Goods by the Buyer shall be deemed conclusive proof that the Buyer has accepted these Conditions to the exclusion of any other Terms and Conditions and in particular to the exclusion of any Terms and Conditions of the Buyer. 2.4 No variation to these Conditions shall be binding unless agreed in writing between the authorised representatives of the Buyer and the Seller prior to the date of the Contract. 2.5 The Buyer shall not be entitled to rely on any typographical, clerical or other error or omission in any sales literature, quotation, price-list, acceptance of offer, invoice, or other document or information issued by the Seller. Any such error or omission shall be subject to correction without any liability on the part of the Seller. 2.6 The Seller reserves the right to make any changes in the specification of the Goods which are required to conform to/with any applicable safety or other Statutory requirements. 3.1 The price of the Goods and any applicable services is exclusive of VAT and any other taxes and the cost of carriage and any other matters all of which will be charged in addition. 3.2 In the event of any variation or suspension of the work which is agreed to by the Seller upon the Buyer’s request, or if the Buyer’s instructions are incorrect or insufficient, the Company shall be entitled to adjust the price of the Goods, and/or any relevant services to reflect costs involved, and to adjust delivery dates as appropriate. 3.3 The Seller shall be entitled to bring an action for the price, or part thereof whether or not the ownership in the Goods has passed. 3.4 All prices quoted are valid for only 30 days from date of quotation, and must be verified thereafter. 4.1 Payment is to be made by the Buyer in cash with order, or against a pro-forma invoice unless a credit account has been opened. A Buyer wishing to open a credit account should furnish two trade, and one banker’s reference for approval by the Seller. 4.2 Where credit is granted payment should be made by the 28th day of the month following delivery with settlement discount, if applicable, being allowable on the amount shown on the invoice in relation to the Goods only if payment is received by the Seller on time. 4.3 The Seller shall be entitled in its absolute discretion to withdraw credit at any time, and refrain from delivering the Goods until such time as the Buyer tenders the purchase money to the Seller together with any outstanding amounts which may be due to the Seller on any account whatsoever. 4.4.1 Cancel the Contract or suspend any further deliveries to the Buyer. 4.4.2 Charge interest. Interest will be calculated as per the “Late Payments of Commercial Debts Regulations 2002”, and any amendments to said legislation thereafter. 5.1 Any dates quoted for delivery of the Goods are approximate only, and the Seller shall not be liable for any delay in delivery of the Goods howsoever caused. Time for delivery of the Goods shall not be of the essence unless previously agreed in formal written contract by the Seller. The Goods may be delivered by the Seller in advance of the quoted delivery date upon giving reasonable notice to the Buyer. 5.2 In respect of any Contract the Seller shall be entitled to make delivery of the Goods by instalments, and to invoice the Buyer separately for each instalment dispatched. 5.3 Any failure to take delivery by the Buyer shall be deemed to be a breach of the Contract (save for grounds for rejection as specified in the law relating to the Sale of Goods). 6.1.2 In the case of Goods to be delivered otherwise, and at the Seller’s premises at the time of delivery, or if the Buyer wrongly fails to take delivery of the Goods then at the time when the Seller has tendered delivery of the Goods. 6.2.2 The price of all other Goods agreed to be sold by the Seller to the Buyer for which payment is then due. 6.3 Until such time as property in the Goods passes to the Buyer the Buyer shall hold the Goods as the Seller’s fiduciary agent and bailee, and shall keep the Goods separate from those of the Buyer and third parties, and properly stored, protected and insured and identified as the Seller’s property. The Buyer shall not destroy, deface, or obscure any identifying mark or packaging on or relating to the Goods. Until that time the Buyer shall be entitled to resell or use the Goods in the ordinary course of its business, but shall account to the Seller for the proceeds of Sale or otherwise of the Goods, whether tangible or intangible, including insurance proceeds, and shall keep all such proceeds separate from any monies or property of the Buyer and third parties, and in the case of tangible proceeds properly stored protected and insured. 6.4 Until such time as the property in the Goods passes to the Buyer (and provided the Goods are still in existence and have not been resold) the Seller shall be entitled at any time to require the Buyer to deliver up the Goods to the Seller, or (at the Seller’s option) the Seller shall be entitled (and the Buyer hereby irrevocably authorises the Seller) to enter upon any premises of the Buyer, or its agents where the Goods are stored and repossess the Goods. 6.5 In the event that the Buyer is supplied Goods by a third party, which Goods are identical to any of the Goods supplied hereunder, then the Buyer shall be obliged to sell the Goods supplied by such third parties before selling any of the identical Goods supplied hereunder. 6.6 In order to identify and recover such Goods as are referred to in clause 6.4 above the Seller, or its representatives, shall be entitled to assume, unless the contrary is shown to their satisfaction, that the Buyer has sold Goods supplied hereunder, and identical Goods supplied by any third party in accordance with the provisions of clause 6.5. 6.7 In any legal proceedings between the Seller and the Buyer, the certificate of the duly authorised representative of the Seller as to which Goods on the Buyer’s premises are, or were the Seller’s property, shall be conclusive evidence of the facts stated herein. 6.8.2 Any such sale shall be a sale of the Seller’s property on the Buyer’s own behalf, and the Buyer shall deal as principal when making such a sale. 6.8.3 The Buyer has a bankruptcy order made against him, or makes an arrangement or composition with his creditors, or otherwise takes the benefit of any Act for the time being in force for the relief of insolvent debtors, or (being a body corporate) convenes a meeting of creditors (whether formal or informal), or enters into liquidation for the purpose only of reconstruction or amalgamation, or has a receiver and/or manager, administrator, or administrative receiver appointed of its undertaking, or any part thereof, or a resolution is passed, or a petition presented to any court for the winding up of the Buyer for the granting of an administration order in respect of the Buyer, or any proceedings are commenced relating to the insolvency, or possible insolvency of the Buyer. 6.8.4 The Buyer suffers, or allows any execution or sequestration (whether legal, or equitable) to be levied on their/its property, or obtained against their/it, or fails to observe/perform any of their/its obligations under these Conditions, or any other contract between the Seller and Buyer, or is unable to pay its debts within the meaning of section 123 of the Insolvency Act 1986, or the Buyer ceases to trade. 7.1 In addition to all warranties implied by Statute, the Seller warrants that the Goods shall correspond with their written specification (if any) at the time of delivery, and will be free from material defects in materials and workmanship for a period of 12 months from delivery. 7.2.4 The warranty given in 7.1 above does not extend to any Goods parts, materials or equipment not manufactured by the Seller in respect of which the Buyer shall only be entitled to the benefit of any such warranty or guarantee as is given by the manufacturer thereof to the Seller. 7.3 Subject as expressly provided in these Conditions, and except where the Goods are sold to a person dealing as a consumer (within the meaning of the Unfair Contract Terms Act 1977 as amended up to date 1/10/2003) all warranties, conditions, or other terms implied by Statute or common law are hereby excluded to the fullest extent permitted by law. 7.4 Where Goods are sold under a consumer transaction (as defined by the Consumer Transactions Restrictions on Statements Order 1976) the Statutory rights of the Buyer are not affected by these Conditions. 7.5 Any claim by the Buyer which is based on any defect in the quality or Conditions of the Goods, or their failure to correspond with specification shall (whether or not delivery is refused by the Buyer) be notified to the Seller within 7 days from the date of delivery, or (where the defect or failure was not apparent on reasonable inspection) within 14 days after discovery of the defect or failure. If delivery is not refused, and the Buyer does not notify the Seller accordingly, the Buyer shall not be entitled to reject the Goods, and the Seller shall have no liability for such defect or failure, and the Buyer shall be bound to pay the price as if the Goods had been delivered in accordance with the Contract. 7.6 Where any valid claim in respect of any of the Goods which is based on any defect in the quality or condition of the Goods (or their failure to meet specification) is notified to the Seller, in accordance with these Conditions, the Seller shall be entitled to exchange the Goods (or part in question) in replacement, or at the Seller’s sole discretion, refund to the Buyer the price of the Goods (or a proportionate part of the price) but the Seller shall have no further liability of any nature whatsoever to the Buyer). 7.7 The Seller shall not be liable to the Buyer by reason of any representation, or any implied warranty condition, or other term, or any duty at common law, or under the express terms of the Contract, or in any manner whatsoever for any consequential loss or damage (and in particular but without prejudice to the generality of the foregoing, the Seller shall not be liable for any costs, claims, damages or expenses arising out of any tortious act or omission including negligence, or any breach or Statutory duty calculated by reference to profits, income, production or accruals, or by reference to accrual of such costs, claims, damages or expenses on a time basis) which may arise out of, or in connection with the supply of the Goods, or provision of any related services, or their use or resale by the Buyer (and whether caused by the negligence of the Seller, its employees or agents or otherwise) save as may be expressly provided in these Conditions. 7.8 Nothing in these Conditions shall be deemed to limit or exclude the liability of the Seller in respect of death, or personal injury resulting from the negligence of the Seller, its employees or agents. 7.9 The Seller shall have no liability of any nature whatsoever to the Buyer in relation to the Goods, or provision of any related services, unless the Buyer proves to a reasonable satisfaction of the Seller that the Goods, subject to any claim by the Buyer, are Goods which have been supplied to the Buyer by the Seller. 7.10 Any repair, replacement or refund, or any monies made by the Seller to the Buyer, shall not under any circumstances be deemed to be an admission of any liability on the part of the Seller to the Buyer (or to any third party), and shall be without prejudice to the rights of the Seller which the Seller hereby reserves in full should it make any such repair, replacement or refund of monies. 7.11 The Seller shall not be liable to the Buyer, or be deemed to be in breach of the Contract by reason of any delay in performing, or any failure to perform any of the Seller’s obligations in relation to the Goods, or any related services if the delay or failure is due to any cause beyond the Seller’s reasonable control. 7.12 All liabilities of the Seller to the Buyer determined by a Court of Law as not having been excluded hereunder shall be limited in total to the total price of the Goods as shown on the Seller’s invoice. 7.13 The Buyer shall be responsible for the Goods being suitable in every way for the purpose for which it intends to use them, and no warranty condition or representation is given by the Seller as to the fitness of the Goods for any particular purpose. 8.1 All figures, statements, advice, recommendations, drawings, designs, suggestions and specifications contained or referred to in any document supplied by the Seller to the Buyer are given in good faith, but shall be approximate only, and shall not (unless the Seller specifically warrants the same in writing) be warranted to be accurate. All such matters should be checked and verified for accuracy and suitability by the Buyer, and accordingly the Seller accepts no liability or responsibility whatsoever in relation to such matters unless specifically warranted in writing in the manner referred to above. 8.2 The Seller will make available information required in relation to the design, construction and testing of the Goods as is reasonably necessary for the Buyer to take appropriate steps to see that the Goods will be, when installed, safe and not constitute a risk to the health of any person provided always that the Buyer shall indemnify, and keep indemnified, the Seller against all claims, costs, actions, damages or liabilities resulting directly or indirectly (including economic and consequential loss) for any claim brought against the Seller under the Consumer Protection Act 1987 arising out of the use of the Goods. Without prejudice to any other right or remedy the Seller shall be entitled to forthwith suspend further performance of and/or terminate the Contract if the Buyer is in breach of any Condition hereof or (in the absolute opinion of the Seller) is likely to breach any Condition hereof. 10.1 If any term or provision in these Conditions shall be held to be illegal, or unenforceable in whole or in part under any enactment or rule of law, such term or provision or part shall to that extent be deemed not to form part of these conditions, but the validity and enforceability of the remainder of these Conditions shall not be affected. 10.2 The waiver or forbearance or failure of the Seller in insisting in any one or more instances upon the performance of any provisions of these Conditions shall not be construed as a waiver, or relinquishment of the Seller’s rights to future performance of such provisions, and the Buyer’s obligations in respect of future performance shall continue in full force and effect. 10.3 Where the Goods are supplied for export from the United Kingdom the Seller shall be entitled to impose such other terms and conditions as it shall require in relation to terms for payment and/or limitation of its liability hereunder as it shall determine. 10.4 The Contract shall be governed by the Laws of England, and the Seller and Buyer hereby irrevocably submit to the exclusive jurisdiction of the English Courts.